Adán Chavez has occupied several important posts in his brother’s 12-year presidency, including that of education minister. He notably shaped relations with Cuba, Venezuela’s top ally, where his brother is healing in a medical center, away from the Venezuelan media’s prying eyes. Confusion persists here as to the president’s condition, which the authorities attribute to a pelvic abscess. On Sunday, Fernando Soto Rojas, a top Chávez supporter, rejected speculation that the president had cancer. 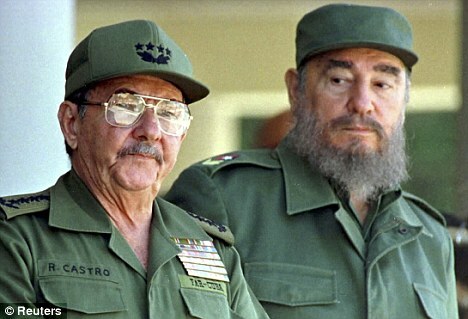 Cuban state television broadcast photos of Hugo Chávez, smiling and looking animated, meeting with Fidel Castro on Tuesday, The Associated Press reported. Mr. Chávez himself has offered few details about his recovery. In one Twitter message this week, he simply said that his daughter, Rosinés, and three grandchildren had visited him. “Ah, what happiness to receive this showering of love,” Hugo Chávez wrote. Meanwhile, the dearth of information about Hugo Chávez has focused attention here on a range of possibilities. Some in the opposition looking ahead at presidential elections next year have suggested that Hugo Chávez may be in better health than many people assume, as he prepares a return to Venezuela to campaign for re-election. 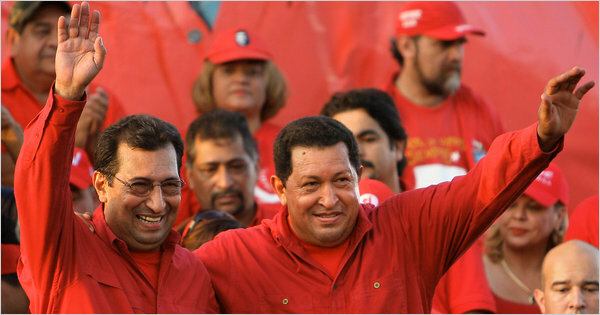 Other critics are concerned with the possibility that the government could delay elections and view Adán Chávez’s prominence with a mixture of captivation and dread. Jonathan Jakubowicz, a filmmaker, said differences existed between the Chávez brothers, notably that Hugo Chávez had worked hard to portray himself as a democratic leader.